Many took to social media in protest after learning of the death of a beloved western lowland gorilla, one of a gorilla subspecies labelled “critically endangered” by the World Wildlife Fund. The 400-pound male, Harambe, was killed at the Cincinnati Zoo Saturday, May 28, when a four-year-old boy fell into the gorilla enclosure. After the gorilla dragged the boy through a moat as a crowd of tourists watched in horror, the zoo’s response team felt that the toddler was in “life-threatening” danger and shot the gorilla with a rifle. However, upon seeing video footage of the incident, some observers believe the gorilla was merely trying to protect the child from perceived danger upon hearing the screams of surrounding tourists, and #JusticeForHarambe began trending online in response. In the clip, Harambe appears to be shielding the boy from the panicked cries around them, and does not seem ready to lunge at or attack the child. More than 70,000 protesters have petitioned on Change.org for the child’s parents to be examined for signs of child neglect, claiming that Harambe’s death could easily have been prevented had they been actively watching their son. Western lowland gorillas remain the most widespread gorilla subspecies, according to the WWF, but face significant threats from deforestation, as well as from poaching and diseases that have reduced the most recent generation’s population by more than 60%. Aside from being totally extinct or extinct in the wild, being critically endangered is the most dire label an animal population can receive. Saturday’s event brings to mind a 1986 occurrence that took place on the UK-dependent island of Jersey, in which silverback gorilla Jambo famously stood guard over a five-year-old boy who fell into a gorilla enclosure, rubbing the child’s back and protecting him from other gorillas, until keepers were able to extricate the child. However, unlike Harambe, Jambo was left unharmed and made into a local hero, featuring in a life-sized statue and even on Jersey stamps. Coupled with a similarly-fatal incident last week, in which two lions were killed at a Santiago, Chile zoo when a man attempted suicide by climbing into their cage, Harambe’s death has led many to question the standard emergency procedures zoos currently have in place for unexpected encounters between animals and humans. For instance, some are questioning why zoo staff don’t carry tranquilizers that could be used in such incidents to incapacitate rather than kill animals who are in close and potentially deadly contact with visitors. The Cincinnati zoo staff responded by noting that tranquilizers take a much longer time to kick in, and that the boy’s life would have remained in danger until further action was taken. Sources: Gladu, Alex. “How endangered are western lowland gorillas like the one at the Cincinnati Zoo?” Bustle. 29 May 2016. BBC News. “Gorilla killing: Harambe’s death at zoo prompts backlash.” 30 May 2016. 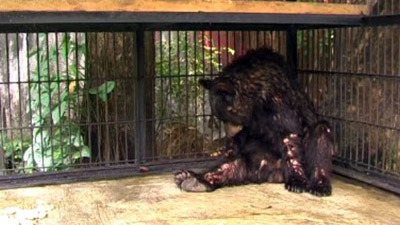 Fours bears were forced to perform tricks and kept in tiny cages at a roadside zoo in Pennsylvania for nearly 20 years. 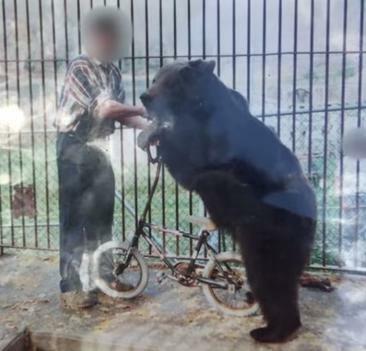 Even when the zoo was shut down in 1995 because of violations of the Animal Welfare Act, Fifi, Bruno, Pocahontas and Marsha were never allowed to leave their enclosures, not even for humiliating bicycle-riding for small crowds. The bears paced restlessly in their cages, had nowhere to hibernate, suffered from severe arthritis and another of other medical conditions. Thanks to People for the Ethical Treatment of Animals (PETA), all four of these bears got a new lease on life in 2014. 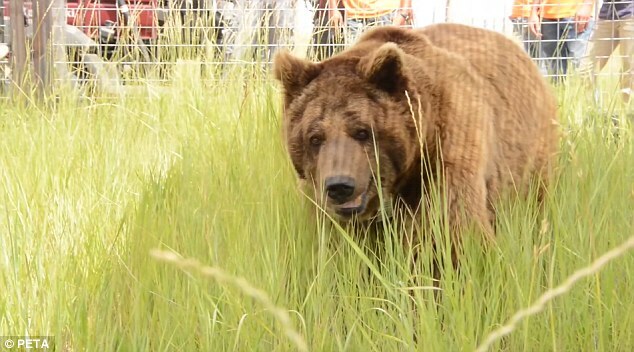 The bears have been brought to The Wild Animal Sanctuary in Colorado. There they will recover from their plight, learn how to be wild and live their remaindering days in dignity. 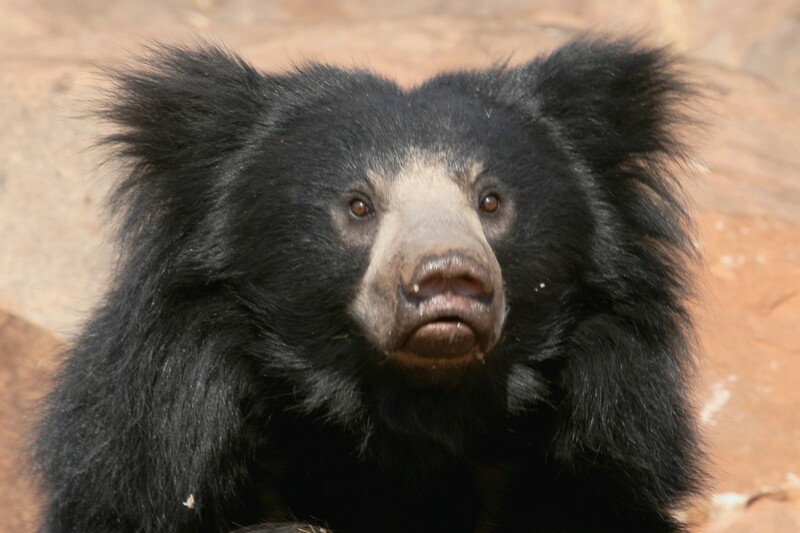 The fours bears now live in two vast 15-acre permanent habitats. They can now ample space to climb and roam and bathe in pools. They can even hibernate in underground dens. Bruno in his new home, living a life with dignity. 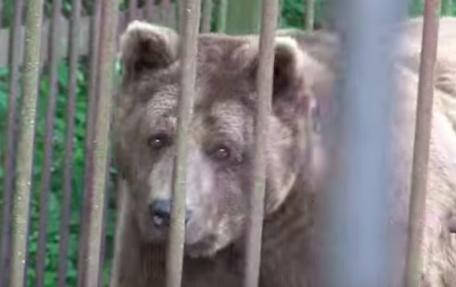 PETA has now rescued 41 bears from roadside zoos and backyards across the country. I commend PETA for taking this action and rescuing these animals from a life of misery. Nepal’s first wildlife hospital is to be built in Chitwan National Park, thanks to support by Denver Zoo in the US. 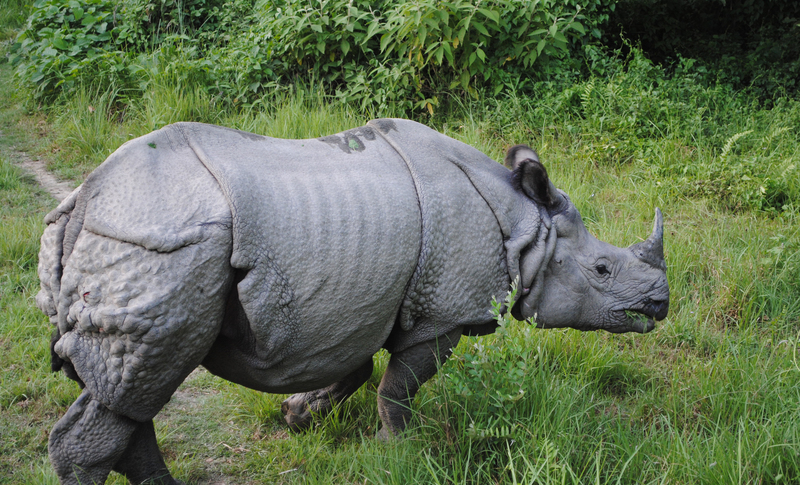 The park is a World Heritage reserve that protects more than 900 sq km of forest, marsh and grassland with their accompanying wildife, including one horned rhinos, Bengal tigers and Gharial crocodiles, but until now it has not had bespoke medical services. The zoo has verbally assured its financial assistance to the tune of $150,000 (£91,000) to build a hospital that will treat injured and endangered wild animals from the park. Up to now, basic medical care has been provided by four veterinary practices in villages around the park, which cater mostly for domestic and farm animals. This has amounted to only 50-60 cases per practice per year. Once the new facility has been built, many more wild animals stand to benefit. The same Danish Zoo that killed and publicly dissected Marius the giraffe last month is sadly back in the news. Today, March 25, 2014, two adult lions and their two 10-month-old cubs have been euthanized to make room for a new male. 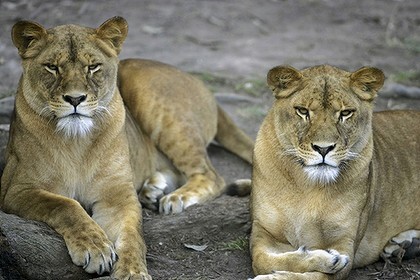 The Copenhagen Zoo released a statement in an attempt to explain their reasoning: “Because of the pride of lions’ natural structure and behavior, the zoo has had to euthanize the two old lions and two young lions who were not old enough to fend for themselves,” the statement read. 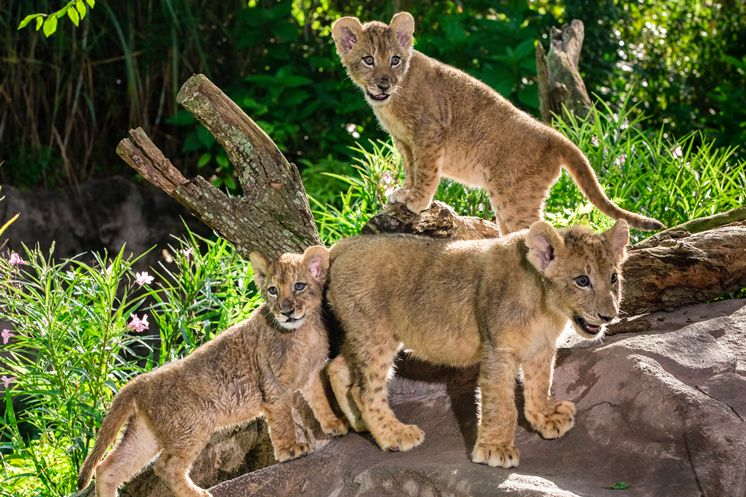 According to zoo officials, the new male lion would have killed the young cubs “as soon as he got the chance.” The zoo claims it tried to find a new home for the lion family, but was unsuccessful. Unlike Marius, the lions won’t be cut up in public, because “not all our animals are dissected in front of an audience,” a zoo spokesman said. The new lion is set to arrive in a few days. The zoo is bringing him in to start a new pride as part of its lion breeding program. Why is it necessary to kill four healthy lions to breed more lions? And when the zoo is done with the new male lion, will they euthanize him to? Is it possible with all of the zoos, sanctuaries and animal groups around the world, no one was willing to care for the lion family. Indonesian officials are investigating the mysterious death of an African lion found hanged in his own cage in Indonesia’s “zoo of death”, where a number of animals have perished due to neglect, starvation and mistreatment in the past few years. 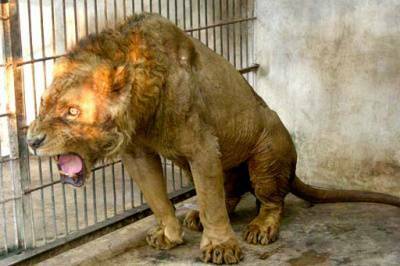 The 18-month-old lion was found suspended from the roof by steel cables on Tuesday in Surabaya zoo, east Java, where the eighth animal to die at the zoo in the last 10 months. Agus Supangkat, a spokesman for the zoo, denied any wrongdoing and said the lion, called Michael, must have caught himself accidentally in between the cables. “Michael was relatively young – he was only one and a half years old,” he told the Jakarta Globe. “It could be that he was playing around and somehow his head got stuck.” But forestry minister Zulkifli Hasan ruled out an accidental death and said there would need to be an investigation. “We want the perpetrator arrested. The death of the lion seems to have been caused intentionally,” he was quoted as saying by the national news agency Antara. Police are investigating the cause of Michael’s death but initial efforts were hampered after it was discovered the lion’s body had been cut down before officials could inspect the cage. Surabaya zoo was built under Dutch colonial rule and is home to about 3,500 creatures, including African lions, elephants and capuchin monkeys. But a number of animals have died there in recent years, among them a Sumatran tiger who ate meat laced with formaldehyde and a giraffe that had an 18kg ball of plastic in its stomach – the result of consuming plastic wrappers discarded in its cage by visitors. 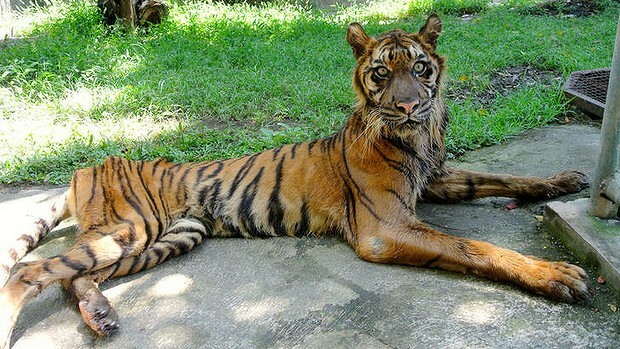 In 2010, it was estimated that about 25 animals at Surabaya zoo were dying prematurely every month. Michael’s death this week followed that of a wildebeest just two days earlier, who was found dead from stomach problems. Conservationists point to a lack of animal welfare at the zoo and have raised concerns over possible staff involvement in illegal wildlife trafficking. Rosek Nursahid, the director of animal charity group Pro Fauna Indonesia, told local media that mismanagement at the zoo was to blame and warned that tourists would be boycotting the zoo and city in protest at the animals’ treatment. An online petition has requested the government to close the zoo, but no other facility has apparently offered to take on the remaining animals.